Just before World War II, a Coast Guard PBY-5, V189, was specially outfitted at Air Station San Diego with a nine-lens-camera for mapping coastal regions around the country. While the arrangement worked well in the lower 48, after two mapping trips to Alaska the camera was transferred to a newer PBY-5A (PBY BuNo 08055) that had landing gear, making it more versatile in the extreme environment of Alaska. A list of the crew of ill-fated Coast Guard PBY-5A. 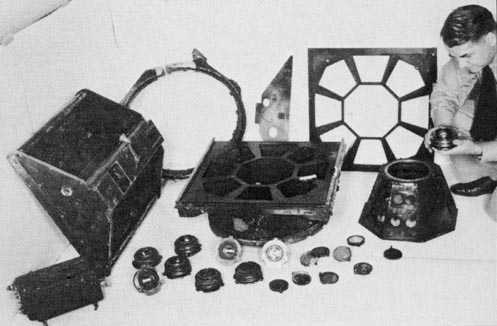 The nine-lens camera used for the mapping survey. 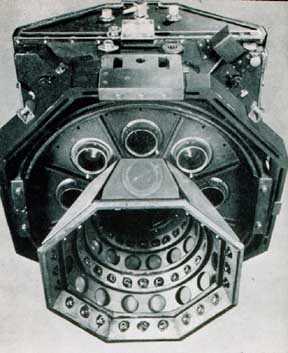 This camera could photograph 313 square miles of terrain with one shot of the shutter at 21,780 feet. 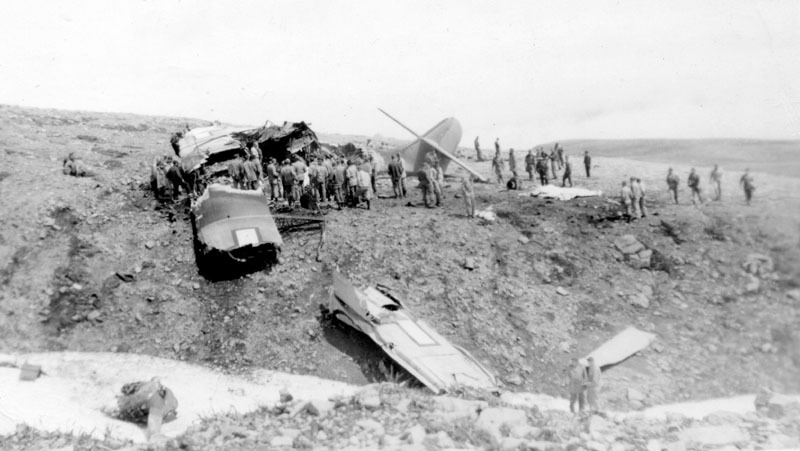 Remains of Coast Guard PBY BuNo 08055 on Mount Moffett, Adak, Alaska. 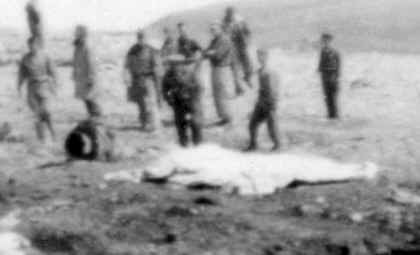 At left is an enlargement of a section of the photo above. To the left of the covered bodies appears to be the 9-lens camera. Read the entire story about this fatal crash and the story of two PBYs and the 9-lens camera in our upcoming book.